Who says blue and green should never be seen? 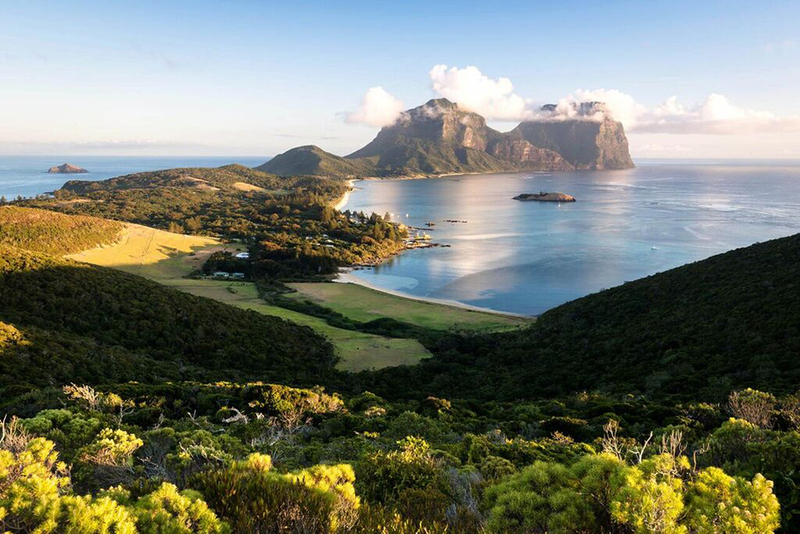 When it comes to the heartstopping Lord Howe Island, we’d say this level of natural beauty is essential viewing. What is Lord Howe Island? Located some 600 kilometres off the east coast of Australia, World Heritage-listed Lord Howe Island is a tiny island home to an incredible natural environment including the world’s southernmost coral reef. 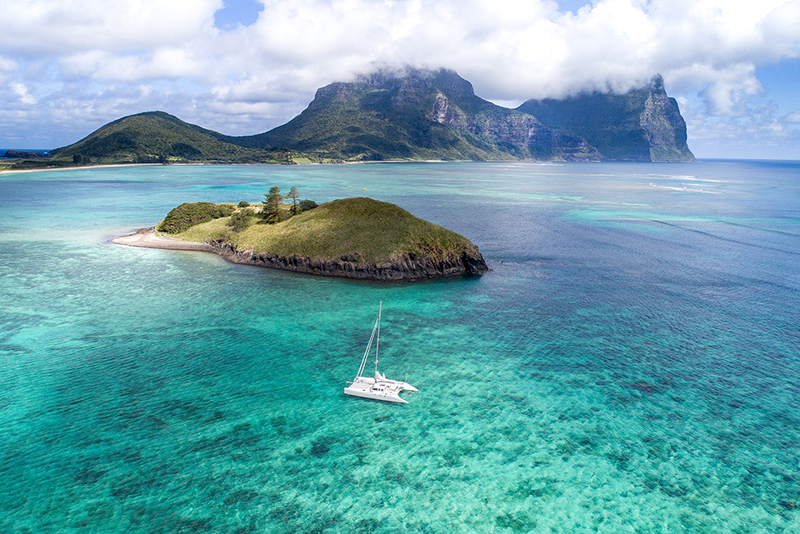 Visitors – no more than 400 at any one time – arrive on Lord Howe on a propeller plane that offers a glimpse of the world’s tallest sea stack, Ball’s Pyramid, to the south-west before circling the island and landing along a short airstrip bordered by green lawns and a white picket fence. Upon stepping onto the tarmac, it’s hard not to stand in awe of the twin peaks of Mount Gower and Mount Lidgbird, rising some 800 metres above sea level and dominating the vista with their ever-changing appearance. It’s just the start of a real-life Treasure Island experience. How big is the island – and how do you get around? Just 11 kilometres in length, Lord Howe forms a diverse natural landscape that invites visitors to explore underwater and on shore. There are only a few cars here – the island speed limit is set at just 25 kilometres per hour – so most visitors walk or bike to get around, with the kind of calm they dreamed of back on the mainland. A range of signposted walks traverses the entire island, with varying levels of difficulty, and offers a chance to explore subtropical rainforest, rich pastures, white-sanded beaches and sheer mountains. Hidden beaches and coves, ideal for a picnic or swim, await discovery. 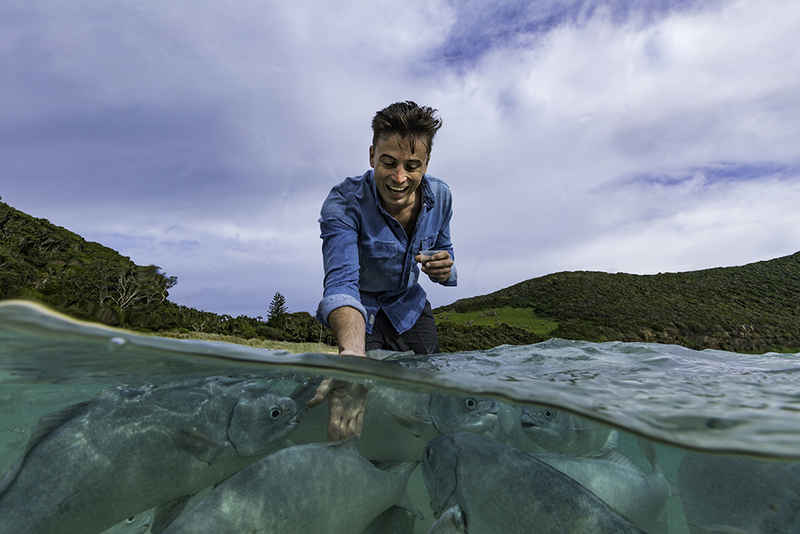 A marine park for more than 100 years, Lord Howe Island’s submarine environment is thriving, with a kaleidoscope of vivid corals providing a home to tropical fish, reef sharks and green sea turtles, while further out, kingfish and tuna are an exciting hook for game fishermen – so to speak. You can reach the reef by swimming straight from the beach with snorkel and fins, or take your exploration deeper with a dedicated dive expedition. Glass-bottomed boats, kayaks, stand up paddleboards and new aqua scooters are popular ways to explore the water, while swimming is as easy as it gets, since warm currents flow from the Coral Sea and the clear waters are free of marine stingers. Is it a good place to relax and unwind? There are no mobile phones and wi-fi is sketchy – great news for those who want to switch off and reconnect with nature. A step onto Lord Howe is a step back in time, and onto a real island paradise.